Wine Appraisal – Wine Appraisers Protecting your Assets! Home » Wine Appraisers News » Wine Appraisal – Protecting your Assets! Many of us who are enophiles have amassed quite a valuable collection of fine and rare wines. We appreciate the artistry of wine, drink it regularly, and often boast to our friends when we acquire a wonderful treasure. This being said, we happily proceed with our passion and pursuit of collecting, never giving a second thought to protecting our wine as we do our other valued assets. Is your wine collection insured and has it been expertly appraised? Cos d’ Estournal Bordeaux Wine Appraisal. If you have a substantial collection of fine and rare wines, you should seriously entertain the thought of having your wine professionally appraised. Imagine the worst case insurance claims scenarios such as fire, flood, mechanical equipment failure (i.e. cooling unit in your wine cellar dying), and theft! These disasters could wipe out your entire wine collection instantly. Does your homeowner’s insurance policy [The following insurance companies offer wine insurance policies. Firemans Fund, Travelers, Chubb, and AXA.] protect your wine collection currently? In most cases, your homeowner’s insurance policy would require you to obtain an additional rider to your existing policy to protect your wines. Your insurance company requires that a dollar value be placed upon your entire wine collection, and this valuation is usually performed by an expert on valuation, a certified wine appraiser. Have you ever considered other issues affecting your wine collection such as personal investment, estate planning, charity donations, and tax issues? These legal concerns also require the need for a certified wine appraisal. The IRS Tax Code changed in 2007 and any charitable donation you make to a nonprofit in excess of $500 dollars requires the filing of IRS tax form 8283 and also requires attaching a copy of your certified wine appraisal to your tax return. What are the qualifications of a certified appraiser? A certified wine appraiser is someone who possesses training, an appraiser designation, and certification in the Uniform Standards of Professional Appraisal Practice (USPAP), which is a federal guideline established by the US Congress in 1986. All USPAP certified wine appraisers are registered with the Appraisal Foundation in Washington DC, and are overseen by the appointed congressional sub-committee. Are wine appraisers licensed? Only real estate appraisers are currently required to be licensed in most states. Personal property appraisers (i.e. wine appraisers) are not required to have a license, but are certified in USPAP just as real estate appraisers are. Unfortunately, your local wine shop retailers and wine distributors, although knowledgeable about the wines they handle and sell, are not qualified as appraisers, unless they are trained appraisers and certified in USPAP. How can you spot a fraudulent appraiser? There are many appraisal organizations today awarding designations to appraisers, but do not be deceived by these designations! Only those appraisal organizations offering appraisal certification in USPAP are legitimate. Ask to see the appraiser’s proof of his/her USPAP certification or his proof of registration with the Appraisal Foundation in Washington DC. Footnote: It is a violation of USPAP for any certified appraiser to charge a percentage of the appraised value as a fee. Legitimate wine appraisers charge a flat fee or hourly rate only. Wine appraisal work is not cheap! Don’t let appraisal television programs mislead you into believing that a wine appraiser has quick and easy job. We don’t! 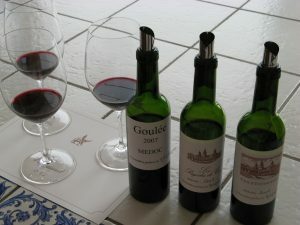 A wine appraiser must inventory, noting condition and significant information, and photograph all of the wines to be appraised. This can take easily one day or longer. Then the wine appraiser must research the wine and pull his/her market comparison sales data (i.e. comparables). The time involved in this task alone can take days. After these steps have been completed, then the wine appraiser must write the wine appraisal report. USPAP also requires that an appraiser must keep the appraisal report for a period of five years, and seven years if an appraisal case is involved in litigation, before the reports can be destroyed. As you can easily see there is a great deal of work that goes into generating expert wine appraisals. Over the years, I have appeared as an expert witness in many court cases in which issues of valuation were disputed by individuals, insurance companies, etc. More often than not the presiding judge would dismiss the other party’s alleged expert witness, usually a wannabe appraiser, as being unqualified and unfit due to their lack of appropriate appraiser credentials. I have not lost a case yet, or a case of wine for that matter. Protect your wine assets and have them professionally appraised.